Illuminae revolves around the recently broken-up Kady Grant and Ezra Mason when they’re forced to evacuate their home planet in the year 2575. But they quickly realize that by boarding the ship, they might have placed themselves in even worse danger than they were in before. From a rogue AI system to an uncontrollable zombie-like virus, the book is filled with wonderfully spun twists and turns the reader never sees coming. 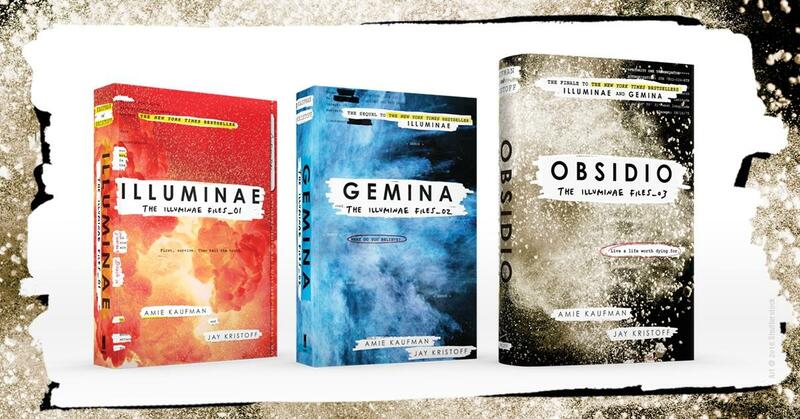 Gemina continues the story, introducing intriguing new characters and masterfully weaving new concepts into an already fortified plot that keeps readers on the edge of their seat. The trilogy concludes with Obsidio, a marvelously constructed book that contains everything a reader desires in the finale of a series: adventure, sorrow, romance, and closure. From start to finish, I absolutely adored The Illuminae Files. Every character was well-conceived, each plot-twist unexpected yet fitting in the context of the plot. Even after the book was finished, I found myself looking back over the pages, absorbing every detail of the meticulously constructed interior. And the writers are just as amazing as the books themselves. I had the opportunity to meet the authors on their book tour of Obsidio. They are truly amazing people with bright personalities and a true appreciation for their fans. A groundbreaking series in terms of formatting and storytelling, The Illuminae Files is perfect for any reader searching for a something distinct and new that breaks the traditional boundaries of science fiction. I simply cannot praise this trilogy enough!